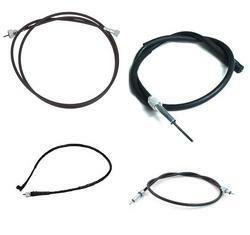 Buy Online Two Wheeler(Motorcycle & Scooter) Speedometer Cables at best price. 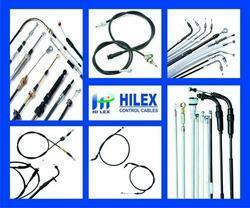 We are leading manufacturers of SPEEDOMETER CABLES. We provide Two wheeler SPEEDOMETER CABLES in a very competitive price. available with us is a wide range of Speedometer Cables that find applications in automobile industry. These are sourced form well known manufacturers and are offered in various specifications to our clients. Our range is in compliance with the international standards and is known for its durability & corrosion resistance. Genuine Parts suitable for Bajaj w wheelers and 3 wheelers vehicles. With our vast experience & knowledge in this field, we are engaged in trading a quality-assured range of Speedometer Cable. We bring forth to our customers a wide variety of Double Strip Outer Cables that finds its extensive usage in different vehicles. Manufactured using sophisticated machines and latest technology, these ensure to provide a reliable performance for a longer period of time. Our customers can purchase these cables from us at market leading prices. Our company has made a mark as the distinguished Manufacturer, Supplier and Exporter of Speedometer Cables from Delhi, India. Used to connect the wheels to the speedometer, these cables relay accurate information about the speed of the car. We are involved in providing Speedometer Cable, which is made by accomplished team who employ the advanced techniques. We are offering a varied series of Speedometer Cable. Due to their best quality, these are immensely demanded. We have gained a huge popularity in the market proffering best array of Speedometer Cable. They are longer in warranty.